There's no need for an additional boiler and for every single kilowatt of electricity used to power the ground source heat pumps this system could generate four kilowatts or more in energy for your home. Ground source heat pumps can provide low-cost comfortable heating that use sustainable energy, causing no direct emissions or other damage to the environment. 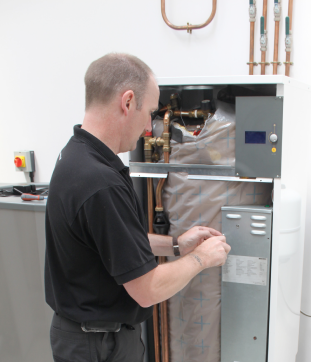 Our Greenstore ground source heat pumps are suitable for a variety of different properties. For further information on heating with ground source heating please click here. For more info visit www.worcester-bosch.co.uk or for a no obligation estimate please contact us. LOOKING TO MAKE YOUR HOME GREENER?